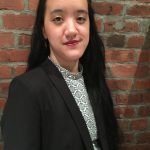 Karen Chau works as a writer and editor in New York. She has previously edited for phati’tude literary magazine and 2Leaf Press. As a writer, her works have appeared in Racialicious, the tempest, sunstruck magazine, and furious gazelle. A graduate of Brandeis University, Karen may be found skulking about @karenecoyote.